101st PGA Championship and 45th Ryder Cup to be played on Bethpage State Park’s Black Courses. Albany, NY - September 17, 2013 - Governor Andrew M. Cuomo today announced a landmark agreement with The PGA of America to bring the 101st PGA Championship and the 45th Ryder Cup to Bethpage State Park in Farmingdale. As two of golf’s most important tournaments, the PGA Championship and Ryder Cup each attract hundreds of thousands of spectators from around the world and provide a significant economic boost to the communities that host them. The 101st PGA Championship will take place in 2019 and mark the 13th time that New York has staged the season’s final major, more than any other state in the nation. Most recently, New York hosted the 2013 PGA Tournament at the historic Oak Hill Country Club in Rochester. That tournament drew over 200,000 spectators, up to 30% of whom were from outside New York State and generated more than $85 million in revenue. The event also featured a Taste NY experience highlighting the world-class food, beer, wine, and spirits produced by New York State’s agricultural and culinary industries. In addition, The PGA of America recently announced that they will open a satellite office in Westchester, New York, their only satellite office in addition to their headquarters in Palm Beach Gardens, Florida. The New York office that will serve as a footprint in the region that gave birth to the world’s largest sports organization its birth in 1916. The office will be established within the “Golf Central” site of the headquarters of both the Metropolitan PGA Section and the Metropolitan Golf Association, in Elmsford, N.Y. The PGA New York Office will be led by The PGA of America’s Chief Marketing Officer Kevin Ring, who will relocate to the area, for a planned fall opening. The space will be used by The PGA’s Officers, Leadership Team and Staff, as The PGA prepares for its Centennial Celebration in 2016. New York State is the birthplace of the PGA Championship and has a longstanding history of hosting this tournament. The first Championship was played in 1916 in Bronxville and throughout the years New York has welcomed the PGA back at many of the world class courses across the state in Long Island, Westchester, Queens and Rochester, like Bethpage. The Ryder Cup is a biennial competition featuring the best golfers from Europe and the U.S. The 45th Ryder Cup, to be held in 2024, will be New York’s second time hosting. 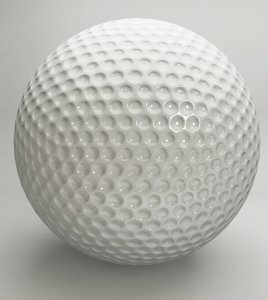 Subject: LongIsland.com - Your Name sent you Article details of "Governor Cuomo Announces Landmark Agreement with The PGA of America to Host PGA Championship and Ryder Cup in New York"